With a little help from Jaeger-LeCoultre, we uncover the workings of the tourbillon. So how does a tourbillon achieve this? 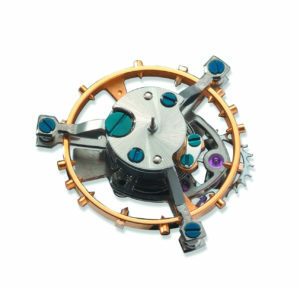 It uses a cage that houses the balance, balance spring and escapement. All of these elements sit inside the cage as it rotates through 360 degrees. This cage has a pinion (a toothed column) located underneath which is meshed with the turning gear train. The wheels of the going train deliver power from the mainspring to this pinion, which causes the cage to rotate. Tourbillon cages may take on a variety of styles, but like a balance wheel, should have high inertia while being as light as possible. Now that the cage is rotating, how is power delivered to the balance wheel? The answer is simpler than you may think: under the cage and fixed to the movement’s baseplate is a stationary fourth wheel. In the perimeter of this wheel are gear teeth. The pinion of the escape wheel (which delivers power to the lever — which in turn delivers power to the balance) is meshed with these teeth, but the escape wheel is fixed to the cage. As the cage of the tourbillon rotates, the escape wheel’s pinion turns as a result of its teeth being engaged in the fixed fourth wheel. This turns the escape wheel, which in turn powers the lever to impulse the balance wheel. The balance wheel oscillates, causing the locking and unlocking of the escape wheel as in a traditional movement. While this may sound simple enough in theory, constructing a good working tourbillon is anything but. Like walking a tightrope, this has to do with achieving optimal physical balance. Positioning everything within the cage and optimizing the weight of the components, as well as poising the cage and balance wheel to be perfectly balanced, are far from easy. There are currently two approaches to balancing the entire tourbillon mechanism so that it produces good timekeeping results. The first is the artisan approach, which uses a large amount of hand fabrication to attain perfect poise, and taking hundreds of hours of fine adjustment to regulate a tourbillon (resulting in a costly tourbillon such as Patek Philippe’s 10 Day Tourbillon). 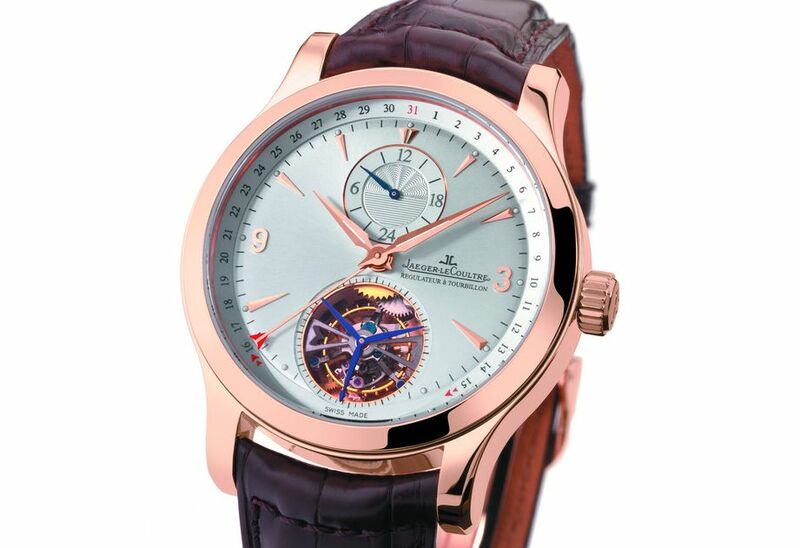 On the other hand, a new approach focuses on industrializing the manufacture of components so that they are uniform enough to begin with, thus requiring minimal adjustment (resulting in a lower-priced tourbillon such as the Jaeger-LeCoultre Master Tourbillon). A little more on the physical aspects of the tourbillon: cages may take on a variety of styles and artistic interpretations, but like a balance wheel, should have high inertia while being as light as possible. Now consider a one-minute tourbillon: it moves with each beat of the escapement. So, a movement that beats at 21,600 vibrations per hour has a cage that is starting and stopping six times a second, 360 times a minute. 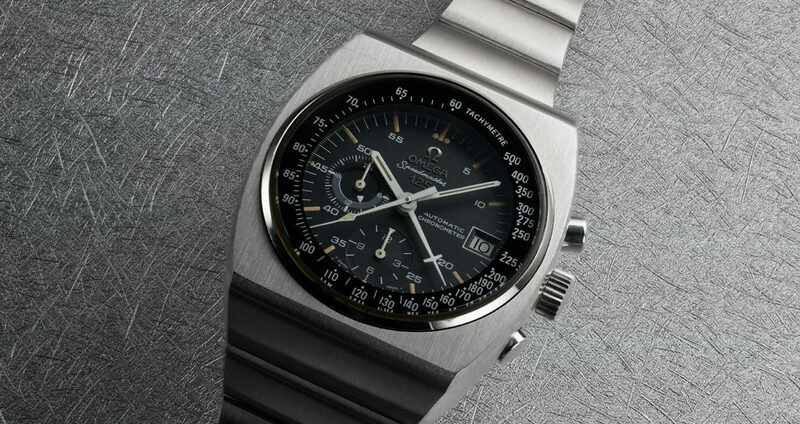 This requires the use of a stronger mainspring. With all the above in mind, simply put, the cage should be as large and as light as effectively possible, given the constraints of the available area. Working in lock step with the cage’s physical construction is the tourbillon’s speed of rotation. The “classic” period is one revolution per minute. Breguet’s first tourbillon was a one-minute job, which was also very practical as it can be used to indicate the seconds. 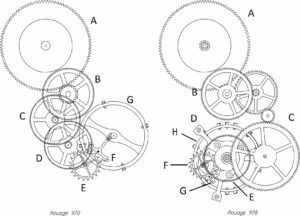 Finally, a quick note on the incorrect application of the term “escapement” with regard to the tourbillon: tourbillons are not escapements. They are devices; mechanisms that house escapements. 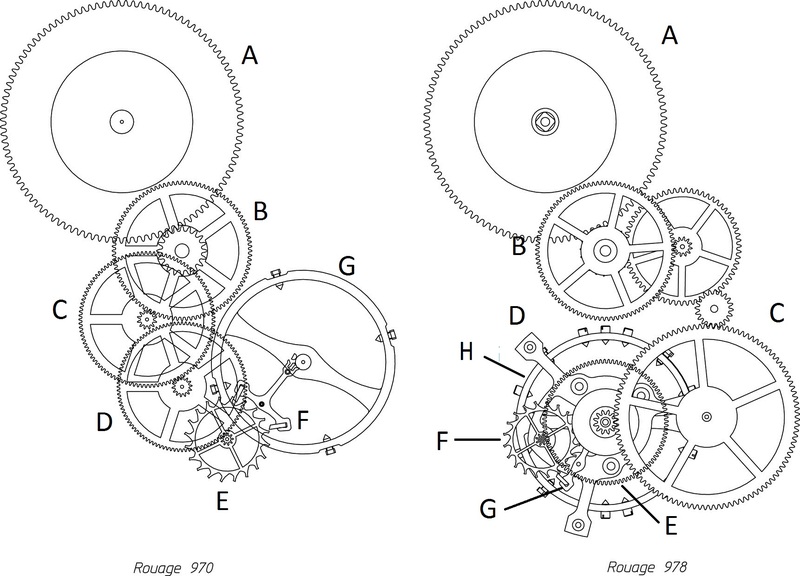 The most common escapements used in tourbillons are the detent and the lever. The lever (Swiss anchor) may be arranged at a right angle to the balance or in a straight line, as in carousel tourbillons, with the pivot point of the lever being centred in the cage. Excerpted from an article by Yeo Suan Futt in REVOLUTION’s archives.